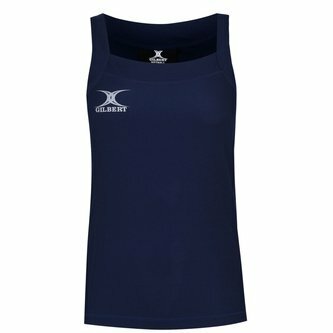 Keep your cool as the action heats up with this Gilbert Blaze Hook & Loop Netball Tank Top in Navy. A soft and lightweight netball tank top, made from 100% polyester, the fabric wicks moisture away from the wearer's skin leaving them cool and comfortable. Strategically placed seams offer both a comfortable fit and minimise chafing.